The "Micro-Market Recovery Program" is distinct from several attempts by the city to combat the housing crisis in recent years because it better coordinates the efforts of not-for-profits, banks and community groups, Emanuel said Wednesday. While it will start with roughly $15 million from the John T. and Catherine D. MacArthur Foundation for loans, Emanuel said it also will tap federal funds. 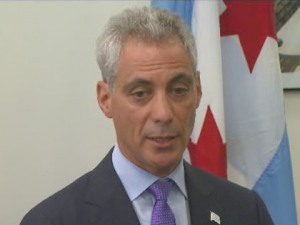 And officials will reach out to banks to invest in keeping people in their houses or rehabilitating foreclosed properties, which Emanuel hopes will bring the total to $50 million. A measure passed by the City Council last month that requires banks to secure and maintain buildings left vacant after foreclosures gives the banks incentive to work with the city, said Andrew Mooney, commissioner for Housing and Economic Development. "We will approach (banks) and tell them 'You have specific responsibilities in this neighborhood,'" Mooney said. 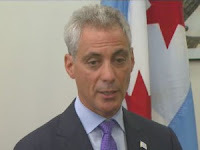 Emanuel said he chose parts of nine neighborhoods — Humboldt Park, Chatham, Chicago Lawn, West Woodlawn, Auburn Gresham, West Pullman, Belmont Cragin, Englewood and Grand Boulevard — because they have high concentrations of recent foreclosures and have active community organizations that can help the administration focus its resources.